If you do any form of writing on the web – as a developer, or as an author – it’s about time you became familiar with one of the more lightweight languages out there. Markdown is a simple markup language that’s easier than HTML. In fact, you can think of it as a big brother to plain text writing. Developers know all about it. It’s time, we simple writers became familiar with it. It could really change the way you take notes online Use Your Keyboard To Make Notes: 10 Websites For Quick Note-Taking Use Your Keyboard To Make Notes: 10 Websites For Quick Note-Taking Have you ever just wanted to jot something down real quick, but couldn’t find a pen? Or maybe you could, but later lost the note with a bunch of other notes which were used for... Read More or even on your smartphone with apps like LightPaper Write & Preview Markdown In Style With LightPaper [Android] Write & Preview Markdown In Style With LightPaper [Android] A text editor should not get in your face. The more you notice it, the worse it is. The best ones are nearly invisible, staying out of the way and letting you become one with... Read More which are built around markdown support. The breed of Markdown editors is large. Notable ones include: Draft, Dillinger.io, and WriteMonkey. I could go on but it’s about time we got around to looking at Textdown. 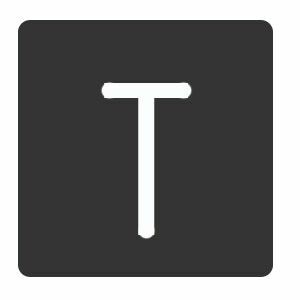 Textdown is a Markdown writing app on Chrome that lets you work offline too. It could serve as your first chalkboard for learning the simple syntax of this language. The YouTube video is a nice primer. Here’s the creator’s own page that takes you through the basics of the Markdown syntax. You can find many other resources, video tutorials, and cheatsheets on Markdown with a web search. Just like the simplicity of the language, the benefits can also be stated simply. It is minimal; a key for productive writing. It is easy to type and easier to read without any clutter. It has all the attributes of plain text writing with the bonus of HTML’s formatting control. Its simplicity also eliminates any errors that are common with HTML tags. You can look at Textdown simply as a note taking app on Chrome. But that would be like relegating the décor to the cellar. The first thing that attracted me to Textdown was that you could work on it even without an Internet connection. The second thing of course, was that it runs within Chrome and not as a separate installation. If that sounds good to you as well, let’s install Textdown from Chrome’s Web Store and launch it. 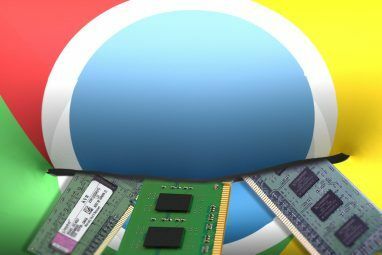 Access the application icon from the Chrome New Tab page. CTRL + < for displaying the Options page which allows you to configure Textdown. Here’s a cut-out of the shortcuts page. They become intuitive after a while, and even if you forget them, they are just another shortcut away. If you have grasped the basics of writing in Markdown, you can simply start writing your first document. There are two things you can do straightaway to make your writing in Textdown a more productive experience. You can opt to go full-screen on Chrome (with CTRL+SHIFT+F or F11). You can go to Textdown’s Options and choose the look of the Editor. Textdown gives you a slew of writing shortcuts to make the whole process swifter. There’s also the nice touch of Textdown closing paired elements like brackets and braces so there’s less chance of missing a markdown and spoiling the formatting. As mentioned before, you can go into the Options and personalize the editor with your own font choices, size, and line spacing. To push your productivity a notch higher, Textdown also allows you to use word shortcuts. Word shortcuts function just like text expanders; use a few characters to substitute regularly used expressions in your documents. You can also install the Textdown Utilities extension to bring in an online file into your document, copy links and images into Textdown with Markdown formatting, and open files on Chrome OS using its file manager. Preview your work by hitting CTRL+P which opens another window on your browser. Textdown has a Live Preview feature which auto-updates changes in the Preview window. One missing feature is that Textdown does not have auto-save functionality; so you have to remember to save your documents with a CTRL+S. You can save your files as Markdown, as text, and also in HTML. On the Options page, you can configure the default extension for saving the files. Yes, Textdown is a very creditable effort. There are quite a few touches like the Word Expander and an in-built calculator (which I haven’t been able to find a use for so far). There are also a few irritants like the fact that Textdown saves each new change in a new file and not the original file one you opened in it. I couldn’t find a way to override this feature in the Options. It also does not auto-save files. So, remember to set the Confirm tab close option lest you close the Textdown tab by mistake. But in the end, Textdown remains a neat little app that allows me to create nicely formatted lists and hyperlinked documents even when I am not online — in the simplest way possible. Hit us with the truth. Pit it against any other Markdown editor you might have used. I liked the Markdown idea and syntax, it's simple and powerful. 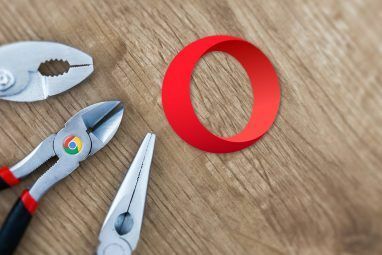 I also like that we can use our browsers to use many software online! That's the real power!